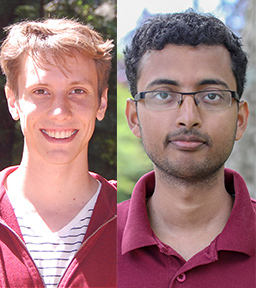 Baskin School of Engineering graduate students Jordan Eizenga and Sutirtha Sengupta are this year’s recipients of the prestigious Jack Baskin and Peggy Downes-Baskin Fellowship. The Fellowship will ensure that these UC Santa Cruz engineers have the resources they need to conduct important research in two very different areas. Eizenga and Sengupta are both thrilled to receive recognition and funding for the work they are doing. Jordan Eizenga studies biomolecular engineering and bioinformatics and has been working with his advisors David Haussler and Benedict Paten on the Human Genome Variation Map, a project that aims to catalogue genomic variations that exist within the human population, resulting in a graph-based human reference genome structure. The Human Genome Variation Map will be the first comprehensive taxonomy for human variation. Eizenga studied mathematics and political science at the University of Michigan, Ann Arbor. After graduating, he developed an interest in computer science and worked as a software engineer before becoming interested in biology. At UC Santa Cruz, he found he could combine his multidisciplinary skills to work on his current project at the very place where the original human genome was sequenced. “This is a great place to be doing this kind of research. We have a deep history working with genomes, including the original assembly of the human genome, done in the Haussler lab, and the UCSC Genome Browser, one of the major tools of informatics in biological data that’s used by biologists on a daily basis,” Eizenger said. “This is a great place to be doing this kind of research," Eizenger said. Sutirtha Sengupta is also grateful that his research has received recognition. “I’m very humbled to receive this fellowship. It provides me with a full year of funding which gives me more time to devote to the research I’m trying to do and travel to present it to more people,” he explained. Sengupta is studying applied mathematics and statistics. 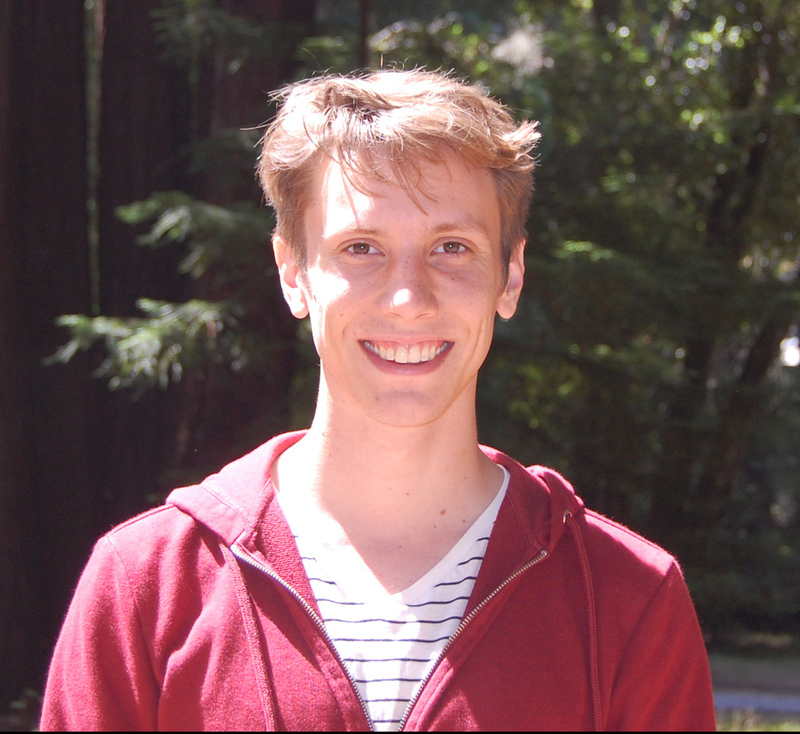 Together with his advisor Pascale Garaud, he has been working to simulate conditions that occur in astrophysical environments using a supercomputer. They have discovered a novel mechanism for more efficient transport of chemical elements inside red giant stars. For decades, interpreting observed abundances in red giants has puzzled theoretical astrophysicists. The discovery is a breakthrough in modeling of transport properties in these challenging physical environments that cannot be recreated in a laboratory. Sengupta studied physics as an undergraduate at the University of Calcutta and earned his M.S. degree, also in physics, from the Institute of Technology, Bombay. He became interested in computational techniques and, while based at the University of Bonn in Germany, he learned of Pascale Garaud and her expertise in astrophysics, and decided he wanted to come to Baskin School of Engineering to work with her. Sengupta found the Baskin School of Engineering ideal for pursuing high performance computing. “Baskin Engineering is the perfect place where I can find the interdisciplinary environment to do this work. This is very rare. I’ve studied in five countries before coming here and I’ve never found such an environment that carries out interdisciplinary work this way. I think that is essential for me to make progress in this area,” he said. “Baskin Engineering is the perfect place where I can find the interdisciplinary environment to do this work," Sengupta said. 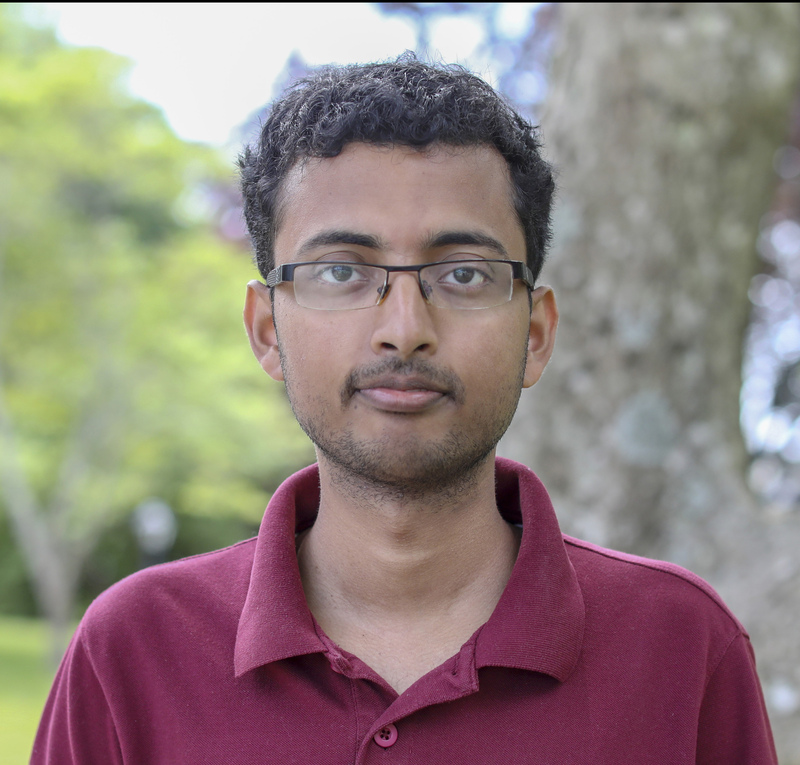 Sengupta plans to continue his research in high performance computing and eventually hopes to work in this field. Jordan Eizenga is keeping his options open and plans to use his remaining two years at UC Santa Cruz to decide what comes next. He’s interested in academics and is considering taking a postdoc position after earning his Ph.D. to gain more diversity in his skill set and broaden his network. The Baskin School of Engineering at UC Santa Cruz offers unique opportunities for education, research and training. With a combination of expertise, innovation and a sense of adventure, faculty and students at the Baskin School of Engineering seek new approaches to some of the most critical challenges of the 21st century, thriving within the domains of data science, genomics, bioinformatics, biotechnology, robotics and cyberphysical systems, statistical modeling, high performance computing, computer security, human-centered design, optoelectronics and photonics, and networking. By leveraging the novel tools that often emerge from changing technologies, the Baskin School of Engineering has pioneered new engineering approaches and disciplines, examples of which include biomolecular engineering, computational media, and technology and information management. The fellowship endowment was created by Jack Baskin and Peggy Downes-Baskin to recognize and support superior PhD students at the Jack Baskin School of Engineering. Awarded on the basis of academic merit within targeted research areas, students are nominated by faculty, and nominations are reviewed by a committee of the Dean and two senior faculty. Previous recipients of the Jack Baskin and Peggy Downes-Baskin Fellowship are: Sean Phillips (Computer Engineering), Eric Kaltman (Computer Science), Annalisa Cadonna (Applied Mathematics and Statistics), Sarah Harmon (Computer Science), Jay Kim (Biomolecular Engineering), and Stephanie Lukin (Computer Science).